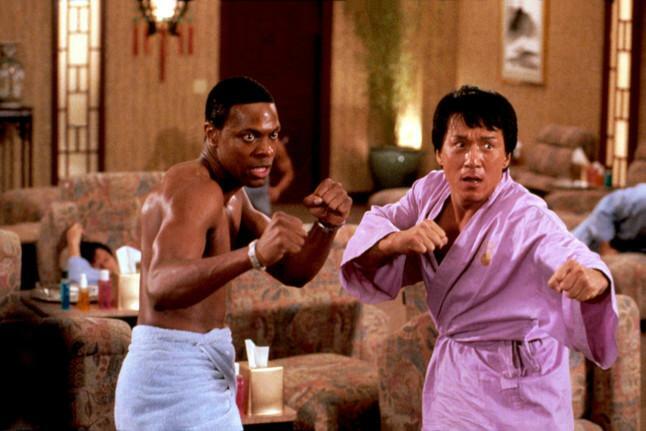 Did Jackie Chan and Chris Tucker Just Confirm 'Rush Hour 4'? 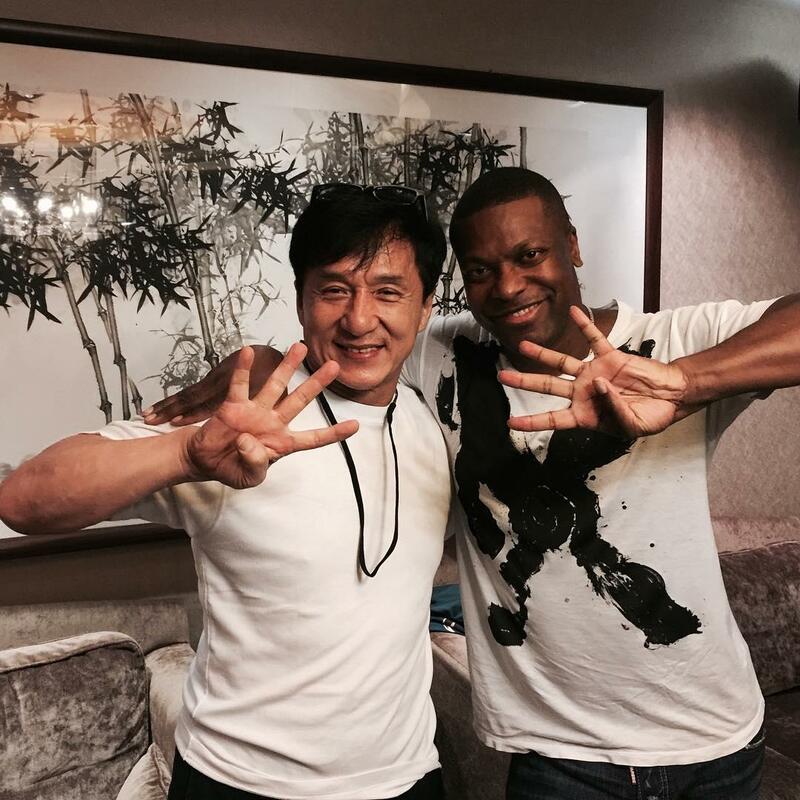 Chris Tucker recently posted a photo of him and Jackie Chan together on his Facebook page and fans of the Rush Hour franchise are taking it as evidence that a fourth movie is on the horizon. In the year 1998 there was a little action/comedy buddy cop film that made a killing at the box office and then, months later, made everyone with a Starz! subscription very, very happy. 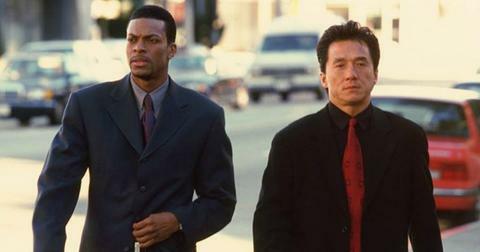 That film was Rush Hour. Fish out of water stories are always fun, especially when you have an "opposites attract" kind of dynamic and chemistry that undeniably works. And the relationship between Jackie Chan and co-star Chris Tucker definitely worked. So much so that when Rush Hour 2 premiered it not only made a ton of money, but was hailed by many fans as being superior to the first. There were a few years between the release of Rush Hour 2 and Rush Hour 3, the latter film made Chris Tucker the highest paid actor in Hollywood for a spell when he earned a cool $25 million for his part in the flick. Although most said that the third installment didn't really live up to the previous two films, it still maintained steady figures, pulling in over $258 million worldwide. Over the years, there have been tons of rumors that a fourth film in the action/comedy series would be coming to cinemas and it was all but confirmed by Jackie Chain in October of 2017 who said that he'd read a script for the fourth movie and he agreed on doing it. If one half of the dynamic duo was planning on saddling up for the film, then surely Chris would be as well? Especially considering that the highest profile film Chris had appeared in for a while was Silver Linings Playbook starring opposite Bradley Cooper and Jennifer Lawrence. After that, he had a role in Billy Lynn's Long Halftime Walk in 2016, but no other major film credits, as per his IMDB page. The film that's currently sitting at the top of that page? You guessed it, Rush Hour 4. It's listed as currently being in pre-production, so what does that mean for the status of the movie? Rumors of a fourth movie started resurfacing again recently when Chris Tucker first posted the above photo with Jackie Chan on his Instagram page, congratulating the Chinese film legend on his 65th birthday. His next post? The now widely-circulated "four finger" picture where the two men are both holding up their hands, not so subtly suggesting that the fourth film is on the way. "Jackie Chan wants to do it, I want to do it, [the] studio wants to do it, so we're trying to get it together," he said. "I guess, Jackie and me, but yeah, I was definitely down as long as it comes together right. And it looks like it's coming together right." Chris went on to say that prior to filming the first Rush Hour movie, that he was a huge fan of Jackie Chan and when he was initially presented with the script, he thought it had a lot of potential for a great action/comedy. "I was a big fan of Jackie Chan's before we started the first Rush Hour so I was excited," he added. "And I knew that my comedy style would work good with his martial arts and his comedy, so it was a perfect match for me, because I could be physical and be funny in that certain movie." Jackie's body of work continues to grow. His most recent U.S. success was 2017's The Foreigner, a gritty revenge flick that saw Jackie take a departure from his traditional action/comedy roles. Audiences and critics generally favored the film (I personally thought it was good). He's also got a steady stream of foreign films in pre-production as well. To date, the Rush Hour franchise has clocked around $849 million worldwide at the box office, not bad considering they aren't CGI-heavy superhero flicks. Anyone plan on checking out Part 4 when/if it drops? It certainly looks like the movie's going to be made, but no further details like release date or a plot synopsis has been released. My guess? It's gonna be funny. Here's hoping Chan listens to "I'll be missing you" in it.